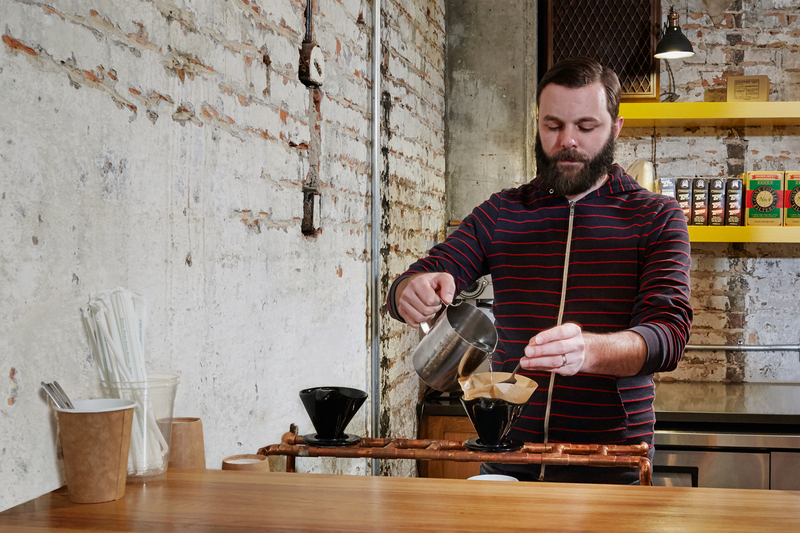 Now called Hero Coffee Roasting Co. 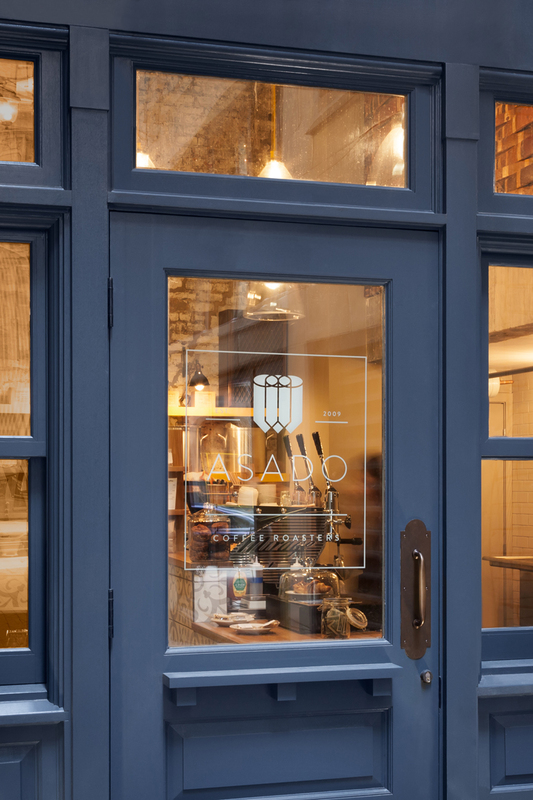 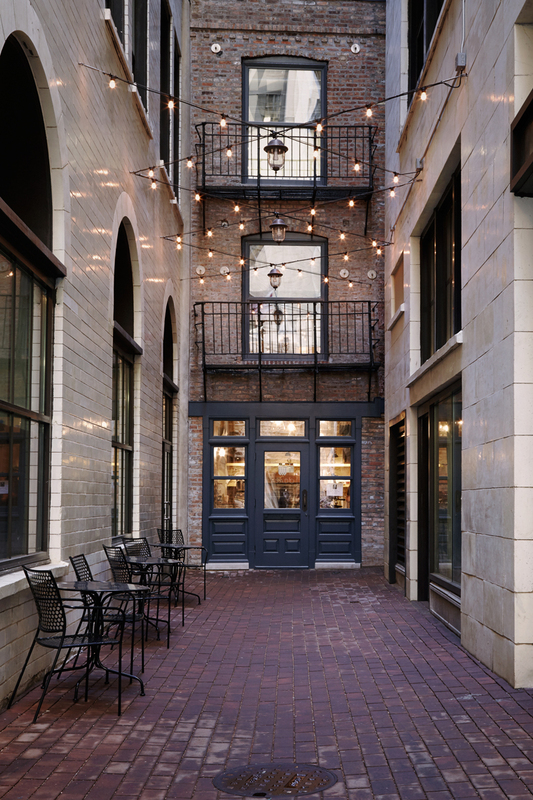 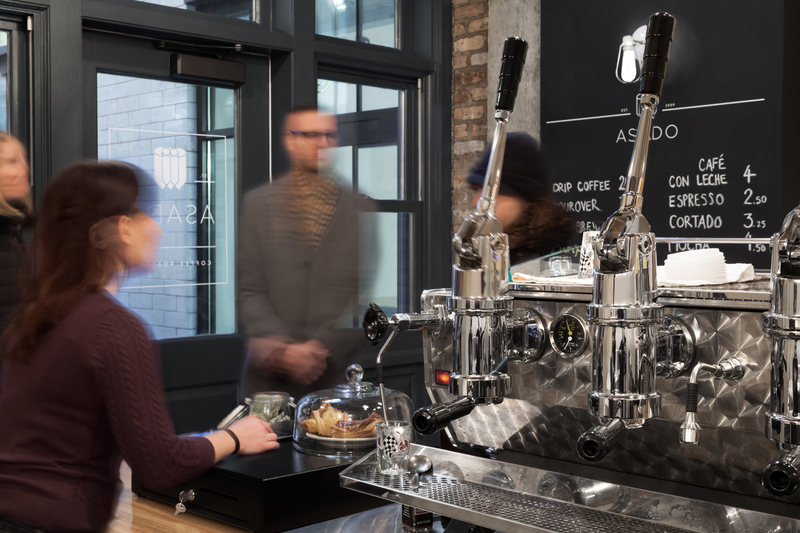 Located down a private alley in one of the Loop’s smallest and oldest buildings, this tiny coffee shop is situated in a 3-story building dating back to just after the Chicago Fire of 1871. 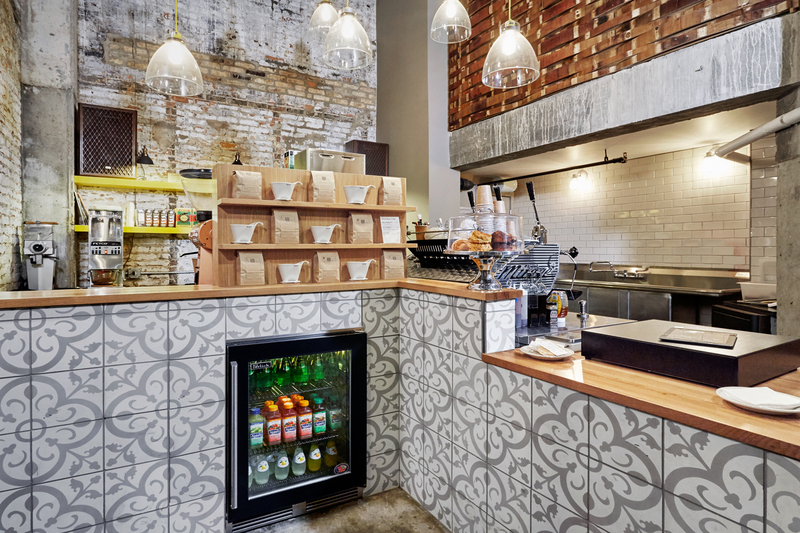 The industrial design incorporated exposed brick walls, a warm reclaimed oak wine barrel accent wall and oak counter tops paying homage to the once meat chop house space. 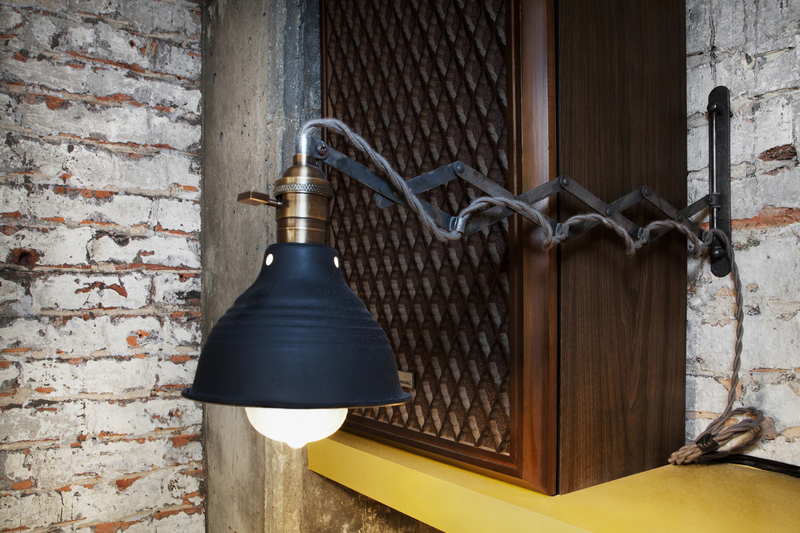 Handmade concrete tiles are used on the counter base while irregularly spaced bright yellow cloth-wire pendant lights and linear shelving accent the volume.